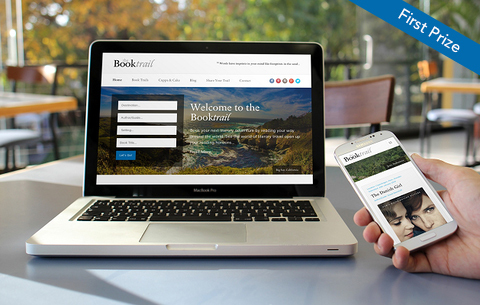 We’re pleased to announce that one of our clients, The Book Trail, has won yet another award! We couldn’t be happier for Susan and her trails! The Book Trail fought off stiff competition to win first place in the Most Informative Blogger award. Nominations for this category were required to have informative original content, consistently interesting posts and carefully researched and pulled together information. The Book Trail is certainly rich with inspiring new content! The award also takes into consideration ease of use and overall presentation of the website. We’re really proud to say that we worked on this site and helped Susan create the new look blog. We’d like to thank her for the opportunity. Working with Susan on the original project was a pleasure. We’re incredibly impressed by all the hard work she’s put into making the site, and the concept, a success since it’s launch. She deserves every accolade she has coming her way. Congratulations again! If you’d like us to help build you an award-winning website then please drop us a line. We’d love to hear from you.